The shabby chic appeal of rag quilts is gaining in popularity. Their strong, but soft-worn comfort make them an ideal choice for fabric workhorses like quilts and placemats. And they couldn't be easier to make than with the AccuQuilt GO! cutter. Instead of having to clip all of the edges, the GO! Rag Circle 6 1/2" die by Heather Banks does all of the work for you. 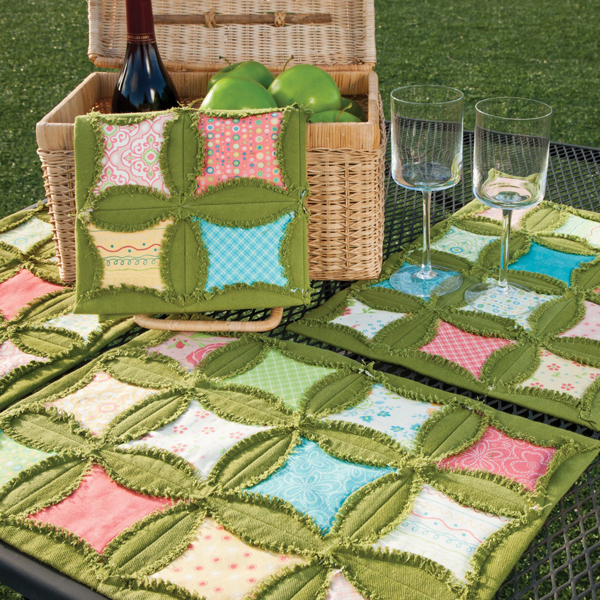 Get the free pattern here, and start creating a quilt or placemat. 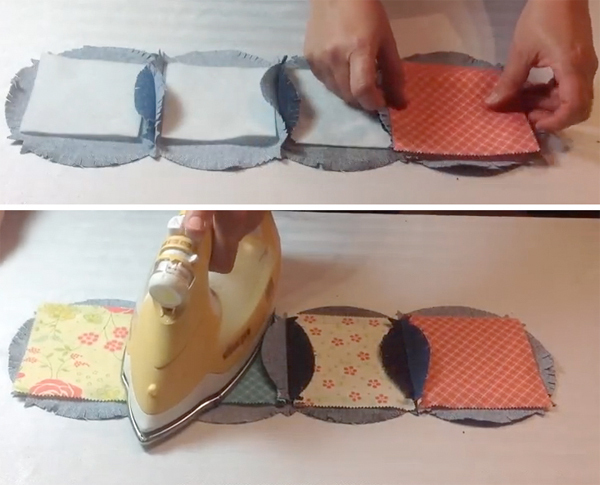 For the placemat, start by cutting 12 sets of circles, fabric squares, and batting squares. For the tutorial, Heather used recycled blue jeans which are super hearty. 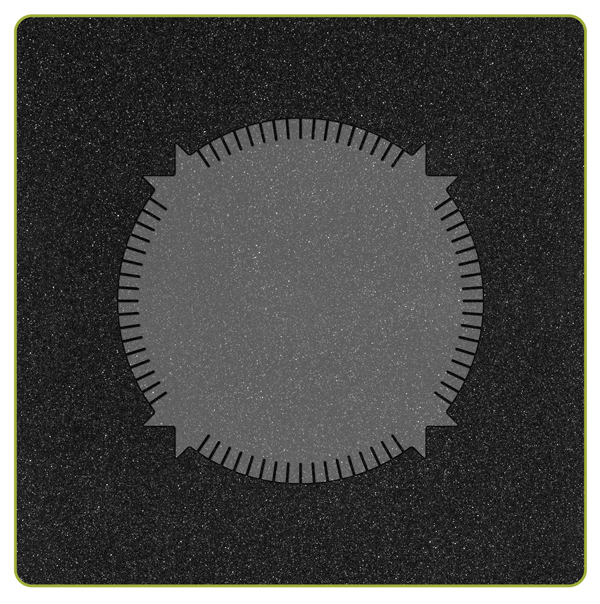 Draw a seam line on the wrong side of a rag circle, lining up the centers of the notches. Place right sides together, pin, and stitch along the line. Continue marking and stitching until four rag circles are stitched together. With right sides down, place batting squares in the middle of each stitched rag circle. 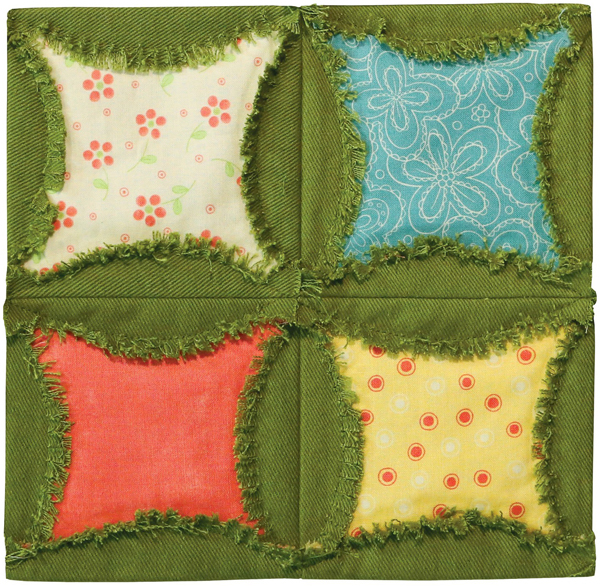 Place a fabric square on top and press the seams open over the fabric insets. Pin seams open and stitch a 3/8" seam around the cut edges. After rows are completed and joined seams are tacked down, draw a line along the long edge between notches. Place rows right sides together and stitch along the line. Press seams open as before and stitch along the curves. When all rows are stitched together, press the outside flaps in and stitch along the curves. For more help, check out the full tutorial and video.